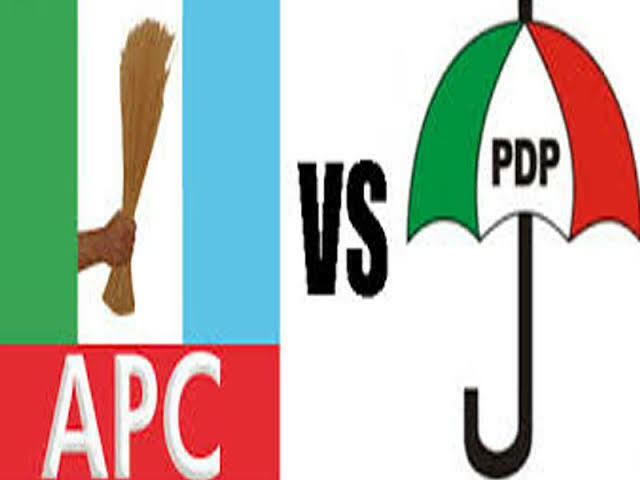 The Peoples Democratic Party in Osun has reacted to the "sweeping of feet" exercise carried out by the members of the All Progressives Congress saying the ruling party's crying days are here. APC leaders and members had gathered at Freedom Park, venue of the Southwest Rally that witnessed mammoth crowd on Sunday to cleanse the venue through sweeping. 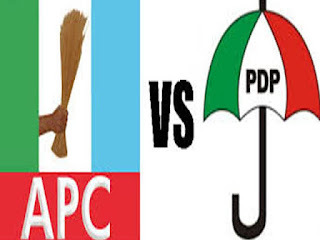 But in a statement signed by Hon Sunday Bisi, the Publicity Secretary of the Osun PDP, said the demonstration by the APC was to downplay the fact that the PDP locked down the capital city stressing that it was a signal to the defeat APC would suffer on September 22 governorship election. It reads, "Following the unprecedented gathering of PDP stalwarts and members in Osogbo, the capital city of Osun state for o rally yesterday (Saturday), we have noticed an increase in the display of anger and frustration from the All Progressive Congress in the state. "The frustration was first displayed by the APC spokesman Mr Kunle Oyatomi who posted a poorly scripted piece of lies on a few WhatsApp groups yesterday as our rally was successfully rounding off. "Mr Oyatomi took his party's notoriety for lies and deceptions to a new height in his attempt to downplay the significance of the total lock down of Osogbo that happened yesterday as a result of the massive turn out of PDP members and supporters to welcome leaders of the party from the National level as well as thousands of APC members who have decided to join the PDP. "The APC dance of shame continued this morning with their early morning visit to the Freedom park,Osogbo, venue of yesterday's rally to carry out a clownish sweeping of the PDP feet from the venue. "If the APC is truly serious about this sweeping drama, one will expect that they carry out the exercise from Station road, Dada estate, Ayetoro, Fakunle and other locations where several thousands of people who could not get to the Freedom park as a result of the massive build-up of crowd and traffic gathered to celebrate the imminent defeat of the APC in Osun state. "Oyatomi should have advised his party men to also sweep over six thousand buses, cars and motorcycles that conveyed people from the 30 Local Governments in Osun state to the state capital yesterday. "While we are not bothered about the display of indolence by those who embarked on these futile attempts, the Osun state chapter of the PDP wishes to remind the APC of the saying that there is no power on earth that can stop an idea whose time has come. "The fact is that the APC in Osun state has come to the end of its wits and should be prepared to cry even more as we move towards the September 22nd Governorship election in the state. "We appreciate the people of Osun state for their open display of love to the PDP and urge them to remain steadfast as we prepare to democratically remove the cancerous cells called the APC from the Osun state government House come November 27th this year."